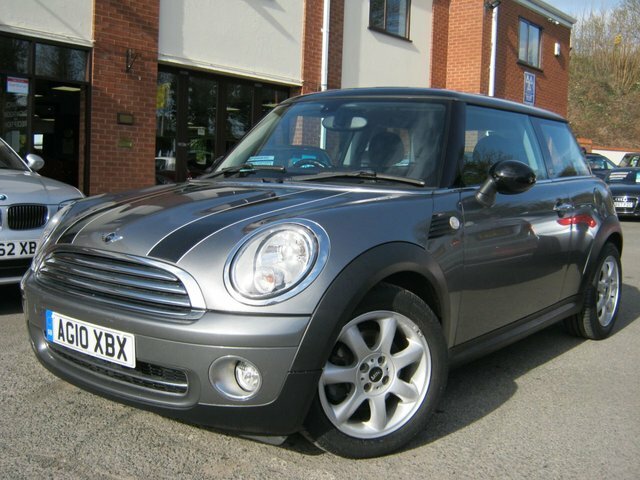 This stunning 2010 10-Reg Mini Cooper Graphite is in lovely condition and has covered just 73,000 miles from new with FSH, it is the ltd edt Graphite model which means a great spec!! extras include half leather sports seats,factory fitted bluetooth phone prep,visibility pack with heated front screen,alloy wheels,cd player and colour coded exterior,great value with low tax,insurance and running costs!!!! 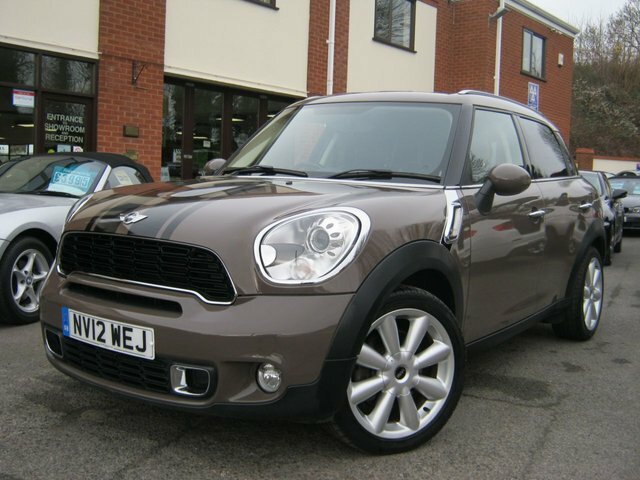 This superb 2012 12-Reg Mini Countryman Cooper S Chilli pack looks amazing in Metallic Light Coffee metallic with full Lounge Light coffee leather trim, it has covered just 50,000 miles from new with FSH and lovely spec! extras include full special edition leather trim,Xenon headlamps,reverse parking sensors,cruise control with multi function steering wheel,Factory bluetooth phone prep,auto lights and wipers,climate control,Cooper S Alloy wheels,Colour line black interior trim,Sport Button,Dynamic traction control,Chrome line interior and exterior,colour matched roof and mirrors and privacy glass,immaculate example inside and out and first to see will buy!!! MINI CONVERTIBLE 1.6 COOPER 2d NOT MANY MINIS THIS PRETTY AT THIS PRICE.... BETTER BE QUICK!!! Previously sold and serviced by ourselves, this 2006 Mini Cooper Cabriolet in Brooklands Green with matching exclusive Brooklands Green Hood is in exceptional condition..!! comes with Half Leather, Alloy Wheels, CD Player, Electric Windows, Power Steering, Electric Mirrors, Electric Hood etc etc 6 Stamps in the Service Book with the last one just 3k miles ago!! Ready for a MINI adventure? Pay a visit to BJH Motors and Sons today and take a closer look at the full range of used MINI cars for sale in Worcester. Whether you're looking for a fun city runabout like the MINI 3-Door Hatch or a stylish cabriolet such as the MINI Convertible, our team is ready and waiting to help. We stock affordable used cars to suit every budget and you can buy with confidence as each one of our vehicles is thoroughly inspected before going on sale. Discover more or arrange to take a test drive in the used MINI of your choice by contacting a member of the team at BJH Motors and Sons today.